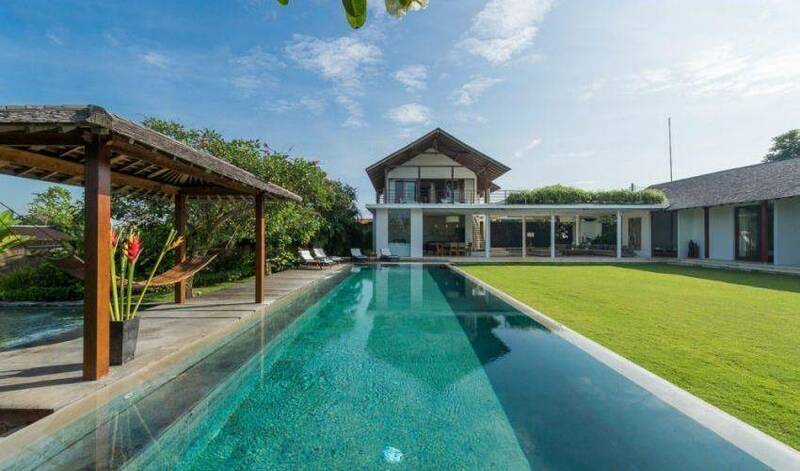 Villa 363, one of our premier luxury villas in Canggu, is a contemporary four-bedroom private villa, located just a few minutes walk from Canggu beach. 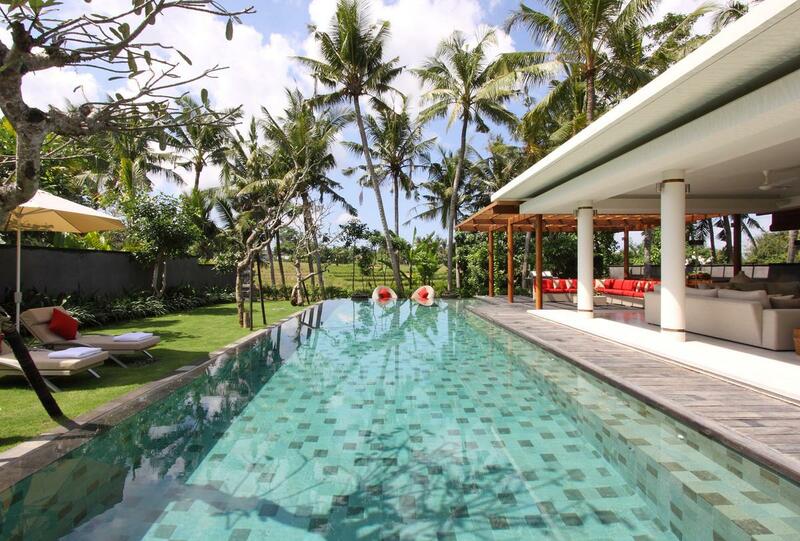 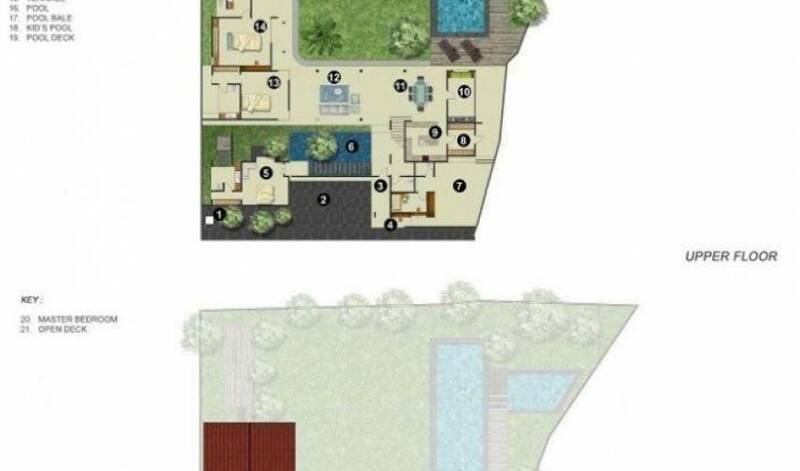 The villa, also an event and wedding venue, is generously designed to maximize space and privacy on 1500 square metres. 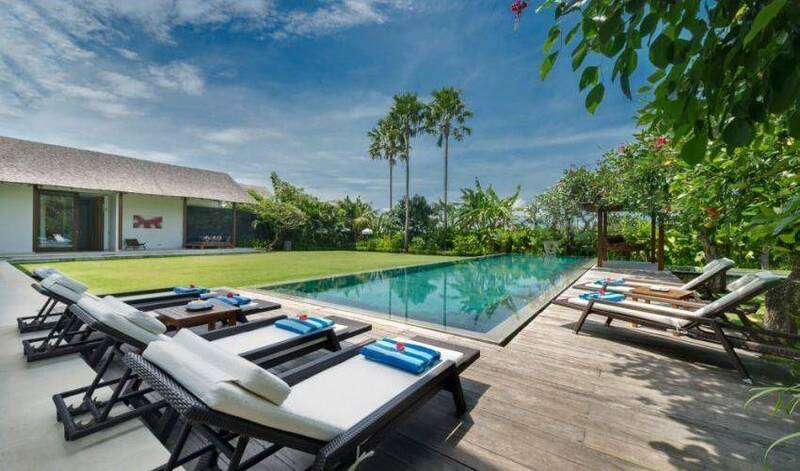 The shingle-roof Bali property offers the best of tropical island living with all creature comforts of Canggu luxury villas. 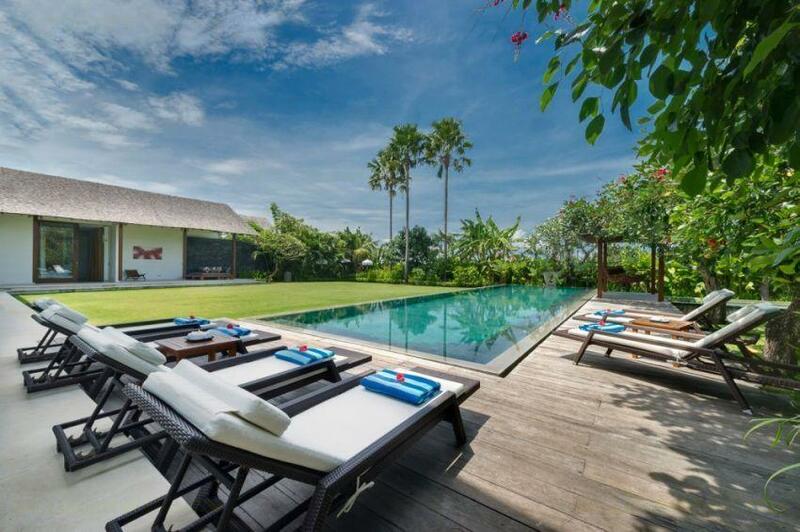 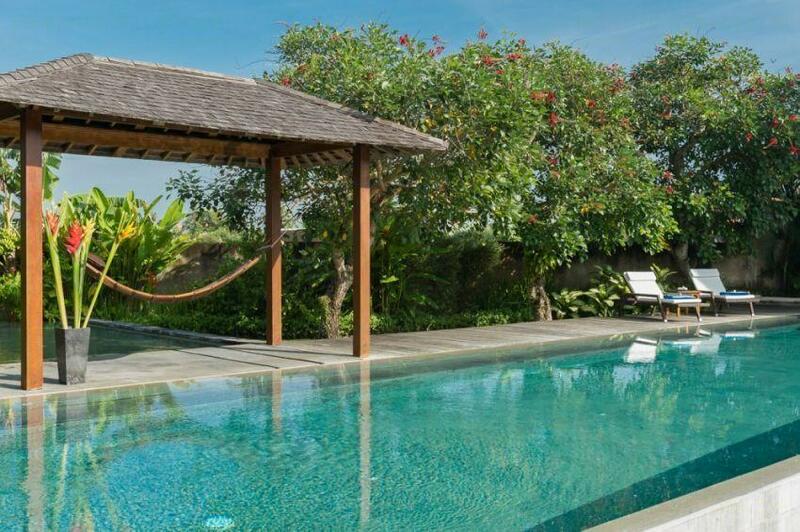 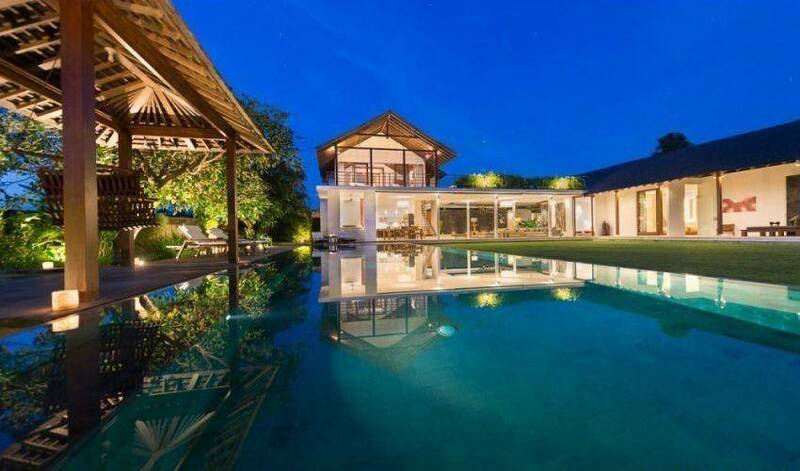 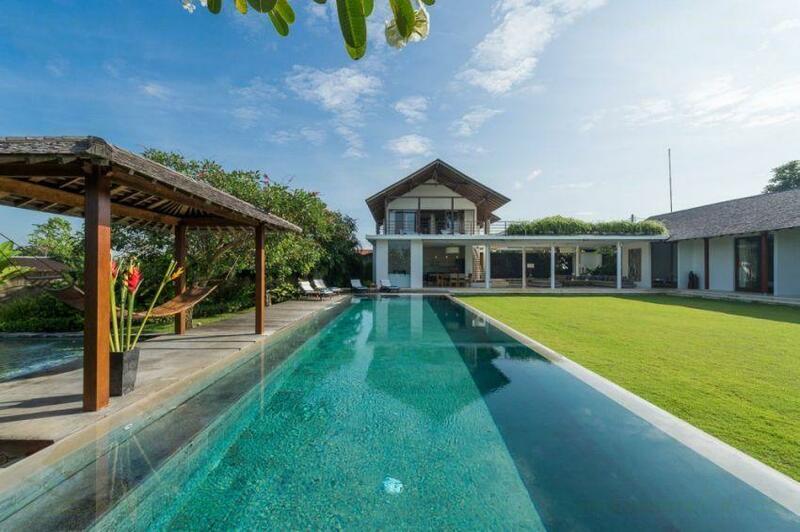 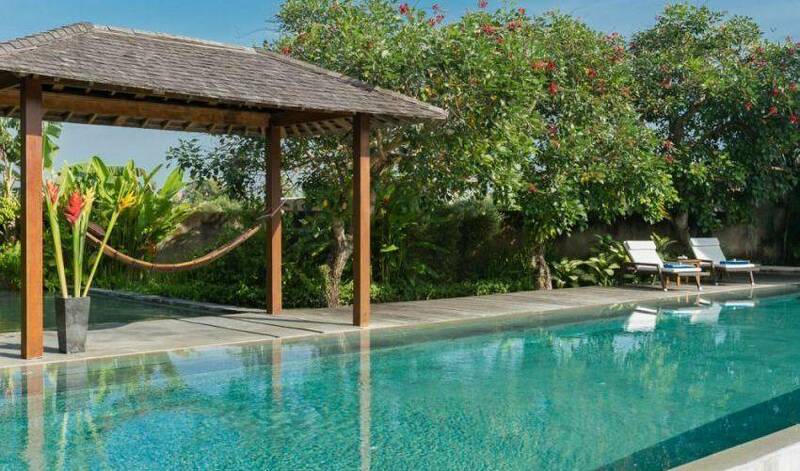 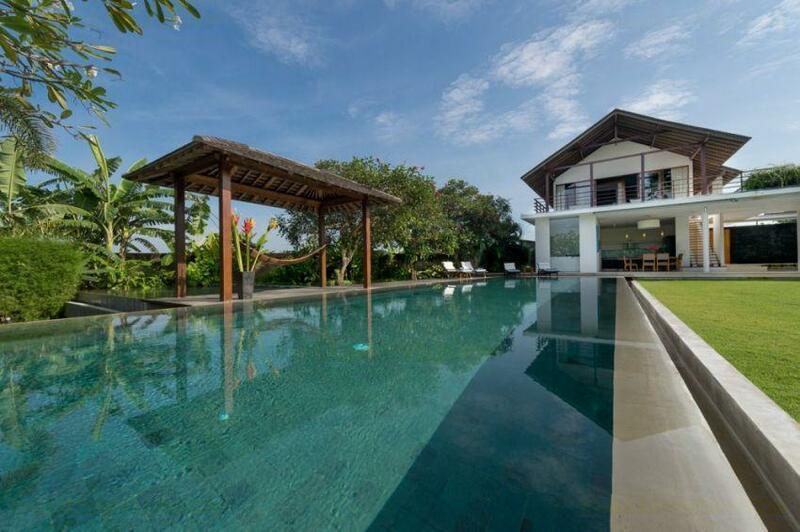 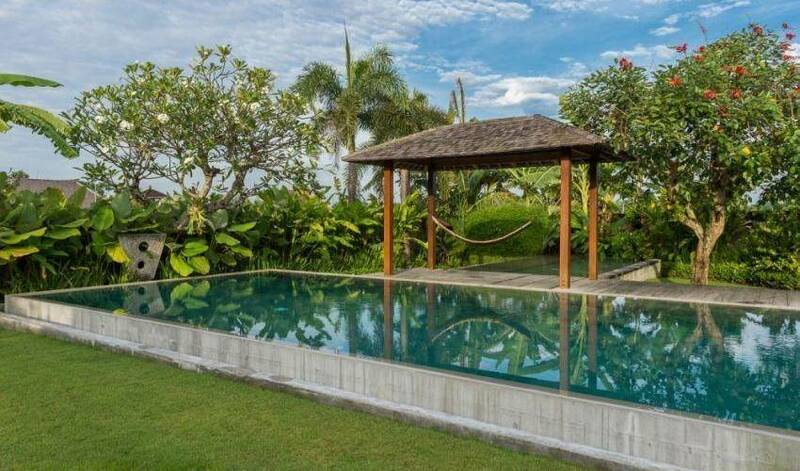 Two swimming pools, one of them 17-metres long, big wooden patios and an expansive, flat-lawned garden all complement this luxury villa in Canggu. 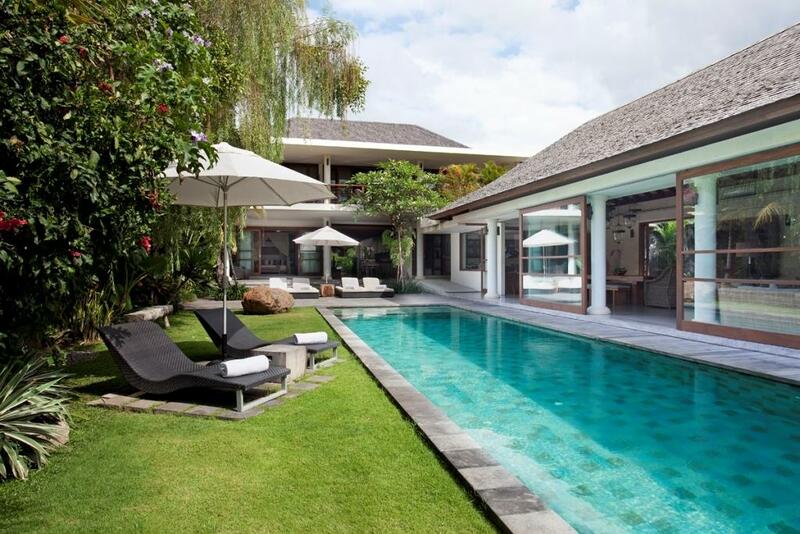 The villa features two pools with long wooden patios and lounges. 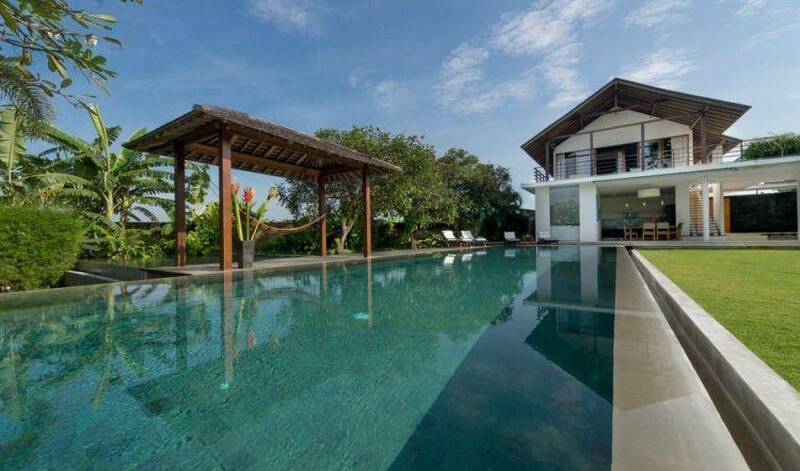 Measuring 17m x 5m the main pool is large enough to allow you to swim laps. 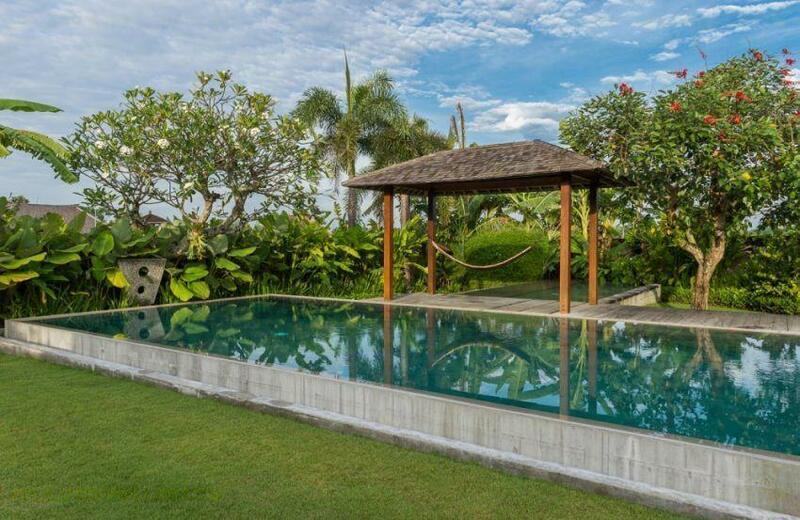 A smaller plunge pool of 6m x 4m, separated from the large pool by a small pavilion, is perfect for children.